Something Really Bothers Me About the @ApcoWorldwide #LENR Connection! We can be sure about one thing though. Apco Worldwide beeing involved in sending email to a few LENR enthusiasts (and Krivit) is a proof that the establishment are keeping a close eye on the LENR development. Apco IS the Washington establishment in a boiled down format. They are in way bigger than the politicians and the bankers, since their job is to shape/control the public opinion in problematic issues, like climate, health, food, medcare, tobacco and of course defending big corporations against the people in many other different ways. Their specialty seems to be creating fake grassroot groups to make their issues heard… and using the “science” word in fake contexts. Hmmm. So, I’m thinking. Maybe they are not only working for Industrial Heat. Maybe they are actually the architects of the establishment and contracted to write the LENR roll-out agenda. Maybe IH got sort of an offer they cant refuse… Maybe IH has to much to loose to say no to a slower and more controlled LENR roll out. Because maybe Hillary does not want this disruption before the elections (It’s bad enough anyway with Trump) or not all, and Goldman Sachs really need to get out of all their oil commitments first. And since they know, the longer it takes, the more money they will make. They all have the information advantage now. And they will use it. As I wrote three years ago on oilprice.com. The political and banking establisment does not like disruptions since they thrive on status quo and cotnrol. They like slow progress. And when there is disruption they want to bill the taxpayer. So they need LENR to be slowly integrated in the existing grids and regulated, so that it can be controlled and the taxpayer can be charged the costs of disruption (ie. to the big establishment corps loosing business). And they need to have time move the bad assets off the books to the taxpayer pension and savings funds. It sort of make sense thinking of the IH letter in this context. They dont deny LENR, but they want to present it as something in the uncertain but somewhat hopeful future.. Certainly not as a 1MW reactor working for a year with COP 30/40/50 or something right now. Apco works for Bill Gates/Microsoft as well, so I believe they like the 10-15 year timeframe. IH is now part of this carefully calculated agenda that will roll out eventually, but not as fast as it could, and I also believe they failed their mission to secure the Rossi IP and know-how, especiall on the E-CatX. So they play the credibility card instead to slow down Rossi in his mission. As we have seen Rossi is now focused on Sweden, building a factory, perhaps working together with Hydrofusion and attending the New Energy Symposium. Some years ago I suggested on the e-Cat World forum that Rossi’s cold fusion technology would be ‘captured’ by the nuclear lobby using fake ‘safety concerns’, then slowly introduced for power generation but with zero cost benefits to consumers. The mechanism I suggested was that the public would be manipulated by the media into believing that cold fusion reactors are very expensive, and that high electricity prices are therefore necessary to pay for the transition, in order to ‘save the planet’ from fictitious AGW. All talk of private/domestic usage would of course disappear due to the fake but perceived ‘dangers’ inherent in the reactors. I’ve never seen any reason to revise this speculation. Actually I believe the Green Lobby are more concerned than nuclear/oil. Because they are fiercely more political and aggressive since they make their living solely on the taxpayer expense. CO2 taxes, smart grids and centralized management is all about control of the end user. Top-down management of change will never ever work, since it requires control. Real innovative change and disruptions has always and will always come bottom-up from tinkerers and entrepreneurs. Yes, I agree that entrenched ‘green’ lobbies will be highly active in the process of capturing CF technology, for exactly the reasons you state. Along with the MSM they will probably be instrumental in the fearmongering that will be necessary in order to justify legislation that moves the technology into the nuclear monopoly. However the goal shared by all interests will be to gain control of the technology, and if fear is used as the tool to achieve this, then it’s likely that only the nuclear industry will be in a position to assume control of this ‘dangerous’ technology. Of course, all energy interests are interwoven, and in any case are all owned by the same money interests, so such distinctions are relatively unimportant. Yes, that would obviously be their favorite scenario. I do not think it will happen though since the production process seems relatively cheap. If Rossi build it more or less by himself in his Bologna workshop, then it could be built in any third world village workshop from instructions sooner or later. There will be no way to stop it then. So they focus only on delay. I agree that Green NGO will oppose even more fiercely than Nuke, as even nuke executives can find another job. Moreover NGO are driven, when not by interest, by ideology, and this is not a subject on which one can negociate. Nuke engineers , oil engineers, and top executive, colaborate and have colaborated with LENR science. Anyway beside the big green organisation there is sincere green souls, whol will be very happy. If big NGO, or big industry, suceed in blocking LENR the revolution will come from the people who are the poorest. We already see it well today where the expensive green product (renewable energy, organic food) is only supported by the most comfortable middle class. Meanwhile cheap green practice develop well in all social classes, except where people are in revolt against an unfair system. Tea party in a way is such a reaction. Poor in EU and USA, and most people in poor or emerging countries will demand for home LENR, and why not will smuggle reactors, like people smuggle MP3 and DIVX today. and if governments oppose too much to that popular smuggling, there will be riots, and governments will design inapplicable laws like french hadopi… at worst invisible taxes, at best paper screen. it seems you argue that this sort of involvement of the Establishment is unexpected and in the case you argue as being bad. I ask you this: what would be the consequences of implementing LENR over a 5 year time frame as compared to the 10-15 years you suggest? Does your assessment of the 5-year scenario include the consequences of disrupted economies through the devaluation and replacement of existing infrastructure and the transition of people from one industry to another, where in certain circumstances there is no “other”. Does your assessment include the psychological impact upon adults looking to protect and sustain their families? Or, politicians looking to maintain some balance of their respective societies as the transition moves forward? Does your assessment include some reasonable expectation on how long it takes people living their lives normally train for the transition from one type of economy to the LENR economy? Please understand me, I think it immoral how some elements of humanity argues that man is not responsible for the consequences of adding CO2 to the atmosphere and am 100% in support of LENR. At the same time, I also think it immoral to not recognize the very real potential damage even to the extremes of war by the very rapid transition of about 8% of the global economy from Fossil Fuel (including Nuclear) to a LENR based economy. Regrettably, IMHO the transition is a problem where a purely benevolent solution simply does not exist. From this perspective, the APCO team focused upon LENR is simply a group of very accomplished hired guns who focus on winning in world that is grey . . . not black and white. Unexpected, absolutely not. I see the involvement merely as another recognition of the facts that LENR is very real. Bad, well – yes. Since I do not believe at all that this kind of innovation can or should be managed by politicians and status quo establishment; ie. those that have the most to loose from disruption. Because innovation is unpredictable and hard to control, and their business is control and prediction. NN Taleb covers this very well in his book “Antifragile”. A must read. You only have to follow the money and look at the personal incentives. The only thing that will come out of a slower than possible roll-out is charging the taxpayer for establishment bail outs. Regardless of climate change and transition problems I have absolutely zero faith in the establishment being able to, or event want to, make it easier for anyone but themselves. So, IMHO the absolutely best way is to put LENR in the market, the way Rossi tries to and the way MFMP does it with open science, Entrepreneurs and tinkerers change the world (always has), not established politicians, corps and academics protecting their interests. Aaaa… morality! Let me expand a bit: would it be moral if we could all live without working for the rest of our lives? Would it be moral to completely disconnect “income” from “work”? Anything can be considered moral depending on your ethical framework or belief system. Ask any religious fundamentalist. Ok. Now I see what you mean. My answer is NO, there is absolutely no reason for trying to manage it top-down for “morality” reason (or any other pseudo altruistic BS). There might be near term political and business reason for a delay though, as I have argued. You could be on to something there. But I recall that years ago Rossi wrote on the JoNP that he thought LENR would have to be rolled out slowly, “a slow evolution not a revolution” [paraphrased]. I’m not sure he’s changed his mind on that. I personally think there are good reasons to take it slow and “carefully manage” this transition away from fossil fuels, which is definitely going to happen LENR or no LENR. I don’t think it has to be delayed… but I do think it’s smart to “manage” it. I don’t think we need any large disruptions in the world economy right now. For one thing, we have enough disruption coming already with electric passenger cars. EVs are getting cheaper and better every year. In a few years they will be cheap enough that most people won’t want a gasomobile. That alone is enough flip the energy markets upside down and create/destroy a trillions of wealth and massively move capital away from oil production. The powers that be already know that electric cars will take over the entire passenger vehicle market by the late 2020s. I think that’s why Saudia Arabia is not willing to give up market share even though they are driving the price of oil way down. They are selling what they can before EVs completely take over. Exactly when the EV inflection point will happen is anyone’s guess (maybe 2025?). But when it happens it will be a fast transition. Remember when digital cameras overtook film? Gasmobiles are the film cameras in this scenario. Gasmobiles just don’t stand a chance. People will strongly want EVs and come to strongly dislike gasomobiles – mostly based on economic factors. Right now 50% of world oil consumption goes to fueling passenger vehicles. That demand will be falling precipitously by 2025. And we haven’t even scratched the surface on the demand destruction for oil that autonomous vehicles pose. That will be quite huge as well. By the end of 2016 or so the writing will clearly and loudly be on the wall for oil (the 200 mile/$35,000 Chevy Bolt is due out by then). If LENR+ makes a splash in 2016 on top of that…. wow just wow! It’ll be quite a show. Get ready to hold on to something solid! As I said above. I dont believe it is possible to manage the transition in any way that brings a positive outcome, only to delay it and regulate it (maybe). And this is what they will try to do, making money for themselves on the taxpayers expense, which they are already doing. This will pan out in a similar way like the mortgage crisis of 07-09, kicking the can down the road until it blows up. So, just follow the money and look at the incentives of the people involved. It is as easy as that. 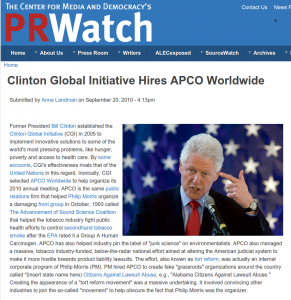 Apco being involved is a recognition, but bad news anyway. You’re dreaming. 200 miles is just about the lifespan for GM’s junk. The ecat won’t even reduce power costs much. Whoever controls the technology will maximize profit by pricing electricity just below competing technology. And think of wind power. The input energy is free and yet the construction costs make it barely practical. Yeahhh, as if Apco would even bother setting up a meeting or pick up the phone, even less author an email to very few recipients, if they and their backers didn’t think this was very important. They pick their assignments. Not the other way around. They are involved only because the implications of LENR are huge both on geopolitical and business scales. They would never care about a simple investor fraud or high-tech companies with products that don’t materialize the way advertised (those things happens all the time you know). If you don’t get it, don’t bother write about it. ‘Tyy’, aka ‘timo’ is an identity used by a troll who occasionally posts similarly weak ‘yugoesque’ comments on most LENR websites. He/she is thought to be a Finn. 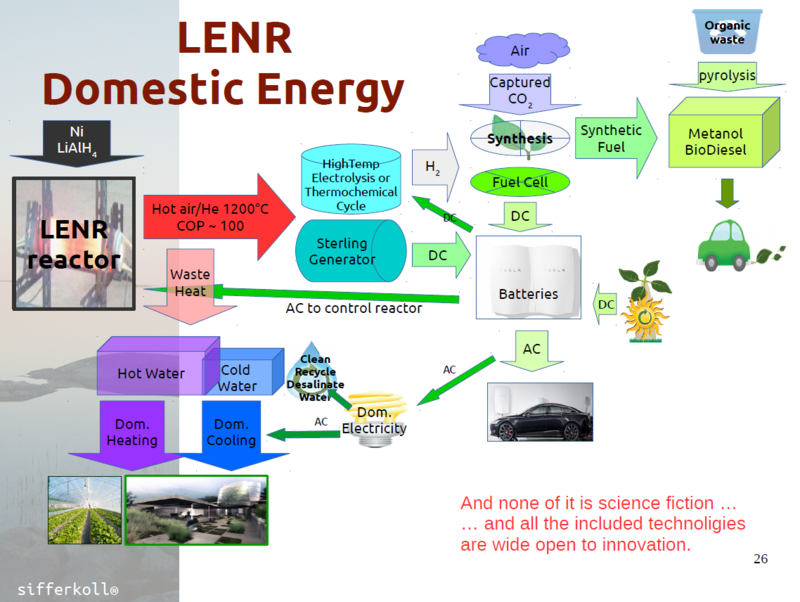 The world desperately needs LENR to replace fossil fuels that pollute the atmosphere with CO2. There has to be cooperation in bring it into practical use as quickly as possible or else we face a climate disaster. I would say it is much more important to stop burning and transporting coal and prevent people from open fire cooking with wood indoors. This is killing people today, en masse. I lived for almost a year in Guangzhou (15+y ago) and it was a nightmare. It took me a year after I got home to get rid of the chronic nose inflammation. The issue of people’s need for cheap, reliable and safe power goes way beyond global warming voodoo b.s. If lend isn’t the answer then coal is. Too early. The market is more or less limitless if you have something to sell. IP is more important to get/keep investors at the moment. 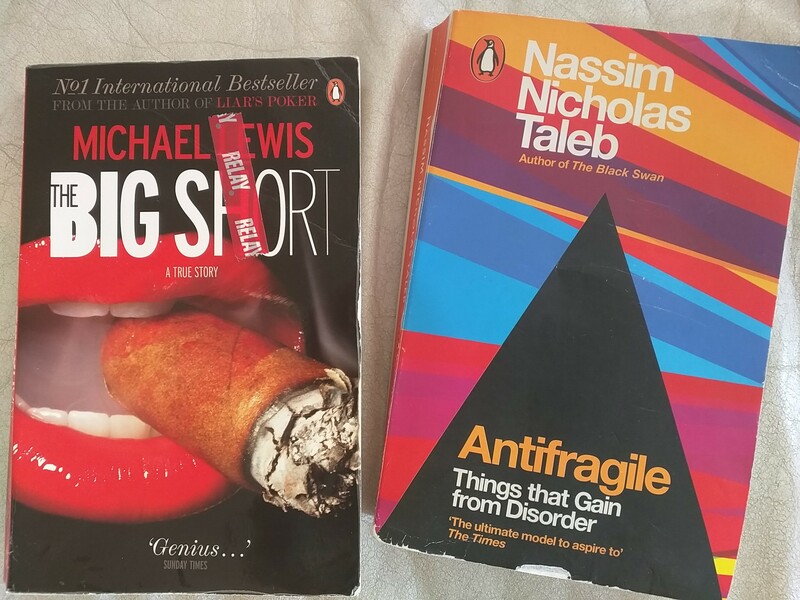 Also political/big corp aspects and influence as I described. The most terrible – oil production and waters which serve as blood in the person. On the Planet started weakening sharply a gravitational and magnetic field of the earth the Planet perishes. New energy generator of Tarasenko is necessary. It will give UFOs and spaceships. The Nickel Hydrogen/Deuterium model appears to be changing to Solid State, if you are to believe things that turn up when you google: Solid State Generators. Another troublesome technology is Superconductivity. Superconductors.com is claiming to be doing it at +42 degrees C. Apco must be very, very busy! Its like the Sith Lords have taken over our country. When Rossi spoke of “Snakes” I am fully aware now the Krivit was one of them. I think Bigger Snakes have noticed Rossi now. I also think that Brilliant Light Power’s technology will help pressure the market to accept these emerging technologies, someone will break out and make a move, once that happens it will be hard to stop it… but they will try. I suspect the anti-carbon, global warming Environmentalist will be fighting these emerging energy breakthrough the hardest as they have the most clout to lose. I think the limiting factor will be just how difficult will it be to set up a small factory in a garage. Right now and given the number of folks chasing the Tech, stopping or slowing the launch of a LENR mini-energy device would be like playing total wack-a-mole. They’d be popping up all over the place. Anyone in any country and with enough ambition to make a bunch of money would be doing startups, similar to those building apps. Sweden (Scandinavia except Norway who desperately needs oil revenue) is a great place to launch as it takes great pride in being progressive, to a fault, but still connected.